Note the ~9 hp/20% gain over stock!!! Reducing squish, adding compression and imporving overall breathing has really woken up this little motor. The stock cam has torque almost all the way down to idle, which is a waste on a racebike. 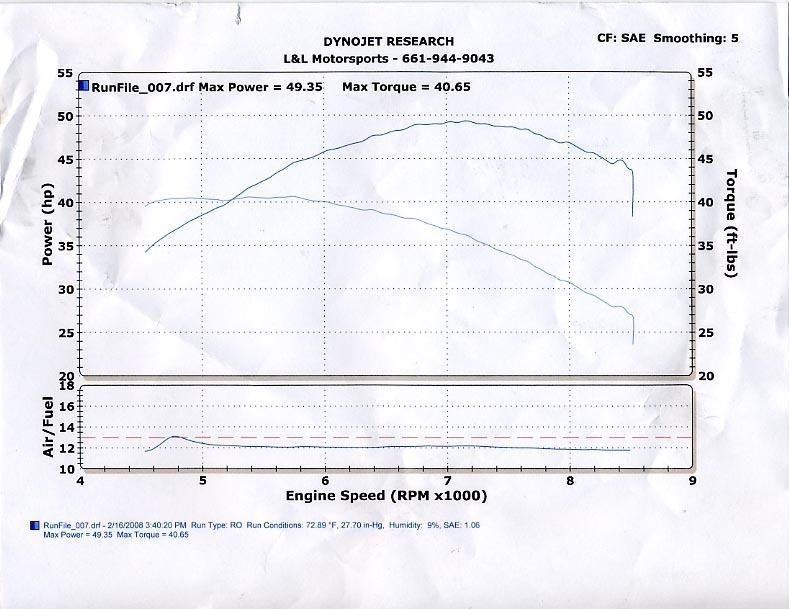 My V65 lives between 4500-9000 RPM on the track, so there is still a lot of potential for this motor. We'll see what I can get out of it with a more performance oriented cam....which I'll have to develop myself, since there is nothing readily available for these bikes.